THE MYTH of Orpheus and Eurydice has inspired countless artists down the centuries, including Ovid, Cocteau, Stravinsky, Titian, and Rodin. 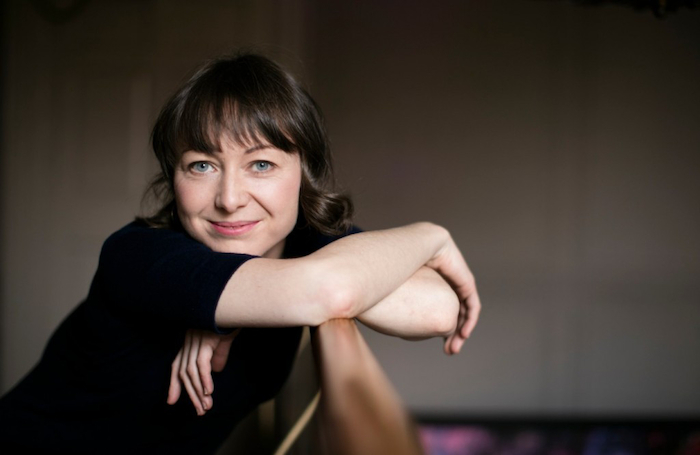 Christoph Willibald Gluck’s opera Orfeo ed Euridice is part of a rich and enduring artistic tradition and its exciting new staging from Irish National Opera, directed by Emma Martin, is a highlight of this year’s GIAF programme. Ahead of the opera’s Galway premiere, Martin [pictured below] sat down with me to talk about the work and her ideas for the production. Given the show is being staged by INO in association with GIAF, co-produced with Martin’s company United Fall, in partnership with Irish Baroque Orchestra, I started by asking who, from among all those collaborators, initiated the project. Gluck’s opera was first staged in 1762, in Vienna, and relates the story of Orpheus, who is granted permission to travel to the underworld to rescue his wife Eurydice on the condition he not look at her until they are back on earth. “After Gluck first wrote it there were other versions with other librettists and he also added to it himself over the years,” Martin points out. “Some versions are almost tipping into the classical era in their instrumentation. We’ve picked away at all that to get back to the original version, it’s what Peter Whelan the conductor wanted to do and I was really glad about that. So it’s very much the Viennese version with a small chamber ensemble and it is very beautiful. Orfeo ed Euridice features mezzo soprano Sharon Carty [pictured above] as Orfeo, soprano Sarah Power (Euridice ), and soprano Emma Nash (Amor ). The production will be sung in Italian with English surtitles. It runs at the Town Hall Theatre from Monday July 23 to Sunday 29 at 8pm, and no performances on July 24 or 27. There will be a post-show talk with the company on July 25, moderated by Aidan Thomson from NUIG. For tickets see www.giaf.ie, 091 - 566577, or the festival box office, Galway Tourist Office, Forster Street.